A couple of weeks ago The Croft House Brisbane rolled out the red carpet (literally) for the launch of their new bistro and bar, providing city dwellers with a place to call their ‘local’. All tastes (and meal times) are catered for starting with barista-made Wolff coffees at breakfast to cafe-style for lunch, grab-to-go and à la carte lunch items. But the standout is their impressive charcuterie menu, available from 3pm, which will see you through the afternoon and can be enjoyed with wine pairing. There are eight types of cured meat to choose from and five cheese including a locally grown Woombye Triple Brie Cheese. All cheese is served with fruit chutney, walnut and rye bread and crisp bread crackers. If you’re having trouble deciding, order the signature Butchers Board ($34) with a selection of cured and smoked meats, farmhouse terrine, Italian bread, pickles and chutney. Once the sun goes down, The Croft House transforms into a bar-centric bistro-style restaurant, focusing on authentic Modern Australian, share platters, specialty drinks and craft beers. Green lipped mussels steamed in a rich broth of saffron, garlic, white wine and parsley served with Italian bread. Slow cooked pork belly, in a soy and ginger sauce. Daily bread deliveries from Brasserie Bread. 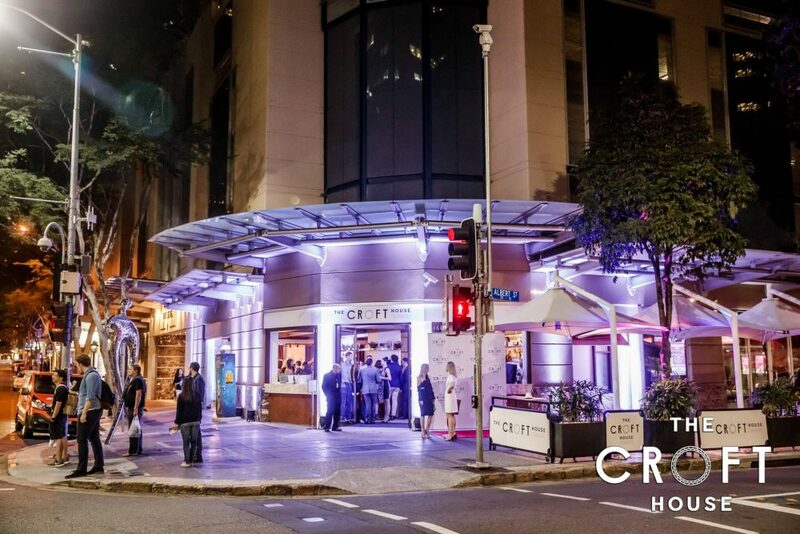 Located next to The Sebel Brisbane at 95 Charlotte St, Brisbane City, The Croft House is open 7 days a week, from 6.30am until late.